'I'm trying to put you in the worst mood,' are the very opening lines of the title track of Toronto singer and producer Abel Tesfaye's third album, his first since last year's Beauty Behind the Madness and its key hits 'Can't Feel My Face' and 'The Hills' launched him to megastardom. Which is just, we're sure you'll agree, what 2016 needs more of; although it's a bit of a wrong-footing declaration from Tesfaye, to go with the downbeat title-track opener itself. Incredibly, this song features Daft Punk, but its murmuring, cold electronic hiss is a continent away from 'Get Lucky', a bleak meditation on fame where everyone wants a piece of the artist and 'we don't pray for love / we just pray for cars', but at least he's been able to sort his mother out financially. 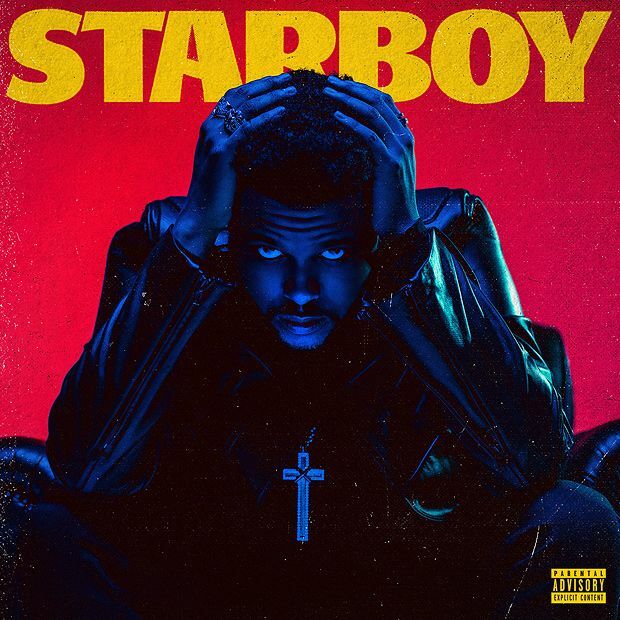 There's a tension at the heart of the album between its two moods, and the one established by 'Starboy' is continued through tracks like 'Party Monster', in which Tesfaye's narrator wakes up next to an anonymous woman and pleads for an understanding partner; the Lana Del Rey-featuring 'Stargirl Interlude', a smoky, dangerously sexual electro-ballad with hints of Goldfrapp; and 'Die For You', an odd declaration of undying love in which he dithers 'I try to find a reason to pull us apart / it ain't workin' 'cos you're perfect'. There's a hint of stark self-defeat throughout, as this young man with the world at his feet keeps foiling his attempts to find the true connection he desperately craves and needs. If that all sounds too gloomy, of course, Starboy is – at its finest – also a sublime pop album. Its title is a homage to David Bowie's Starman, which is a bold move but also a welcome declaration of intent that the spirit of such a legacy can be honoured, and Kendrick Lamar and Future are also here to add star power. 'Rockin' can be filed under 'genuine club banger', a lithe electro-funk hymn to living in the moment, and there are bright, upbeat pop hooks to 'Secrets' and 'Love to Lay' - songs, admittedly, about paranoia over his partner's fidelity and his inability to stay out of bed with someone he's sworn to keep away from. Regardless of the openness of the musical tone – and his bright, autotuned falsetto reminds of Prince on more than one occasion – Tesfaye maintains a sense of moody and sometimes even bleak emotional isolation throughout the lyric. Yet the closing 'I Feel It Coming' at last breaks that cycle, a Daft Punk collaboration more in keeping with their usual style, and a warm, unguarded tribute to new love. It leaves us longing to hear more from him when he's in a better mood. Starboy by The Weeknd is out now on Island Records. Downbeat, soulful, R&B-infused hip hop from Canadian singer Abel Tesfaye.